Appraised at $ 850,000 but asking $ 837,000 or Best Offer! 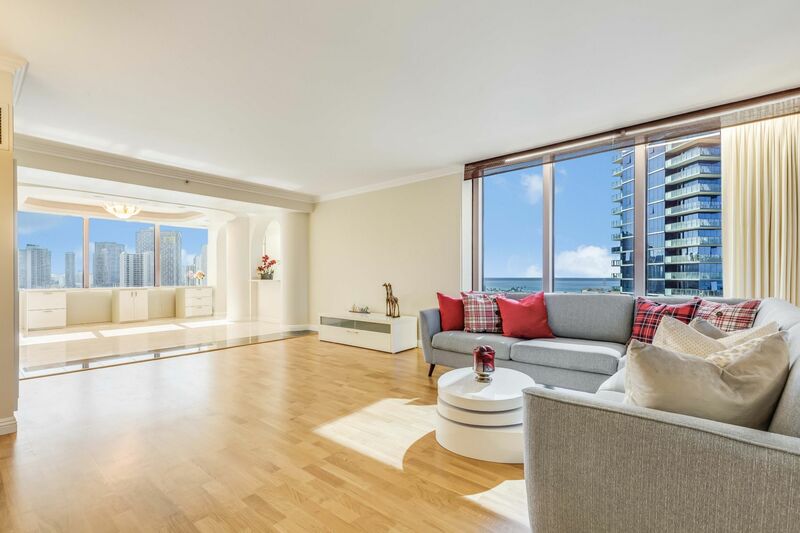 Welcome home to an elegant landmark, One Waterfront Tower in the Kaka’ako and Ala Moana neighborhood. This Makai Ocean view unit offers 2 bed, 2 full baths, and 2 covered parking stalls. This unit is large, spacious, elegantly maintained and it’s layout feels like a single family home rather than an apartment. It is a pet friendly building. Unit is vacant, new paint, corian counter top on kitchen and bathrooms, fairly new appliances and upgraded A/C with several more vents throughout the apartment providing better circulation and comfort throughout the unit. Restaurants and shops are a stroll away such as Salt at our Kaka’ako and Down to Earth grocery store. Ocean, Sunset, City light view from dining and 2nd Bedroom. Easy to show and ready to move in.